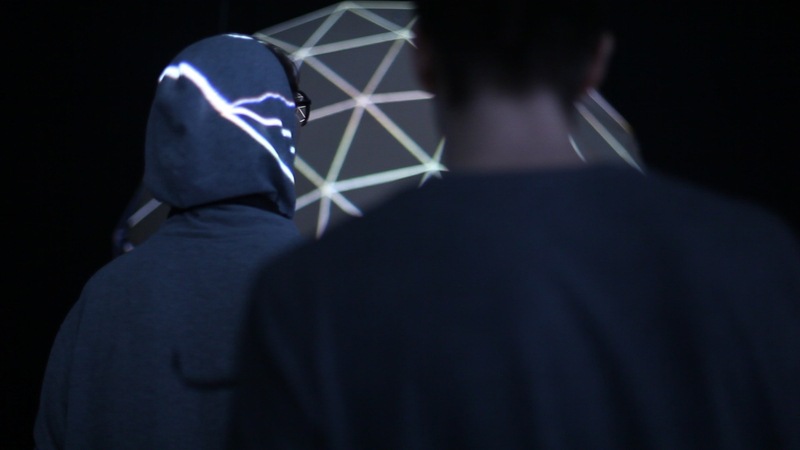 An interactive media installation and AV performance. Artwork: Measphere. 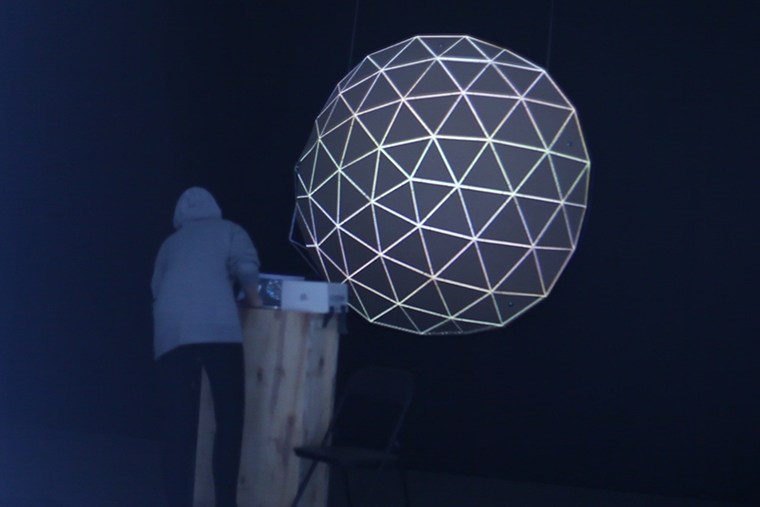 / Exhibited: RIXC - The Center for New Media Culture, Aalto Node Gallery, Festival RENEW. / Year: 2013. 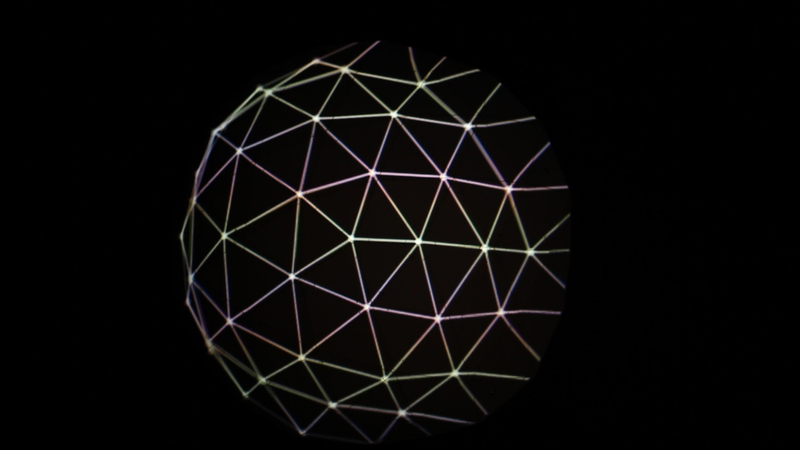 / Category: New Media Art, Projection Mapping, Generative Art. 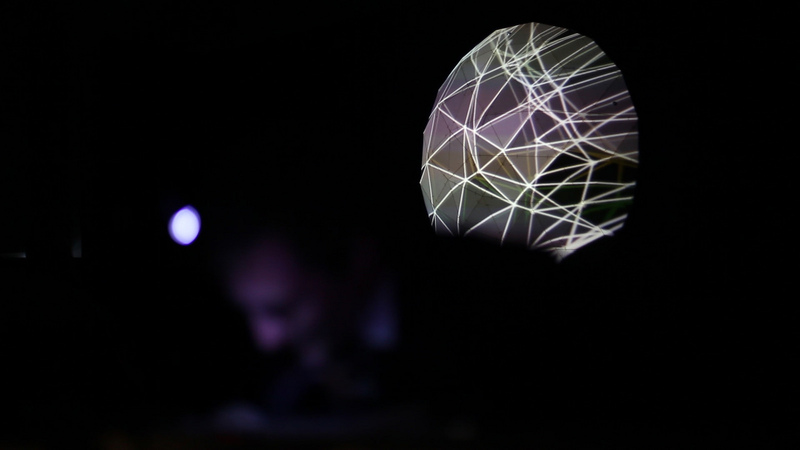 Initially Metasphere was collaboration between new media artists / technologists Krisjanis Rijnieks and Irina Spicaka, later Platon Buravicky created sound based on their idea and design. 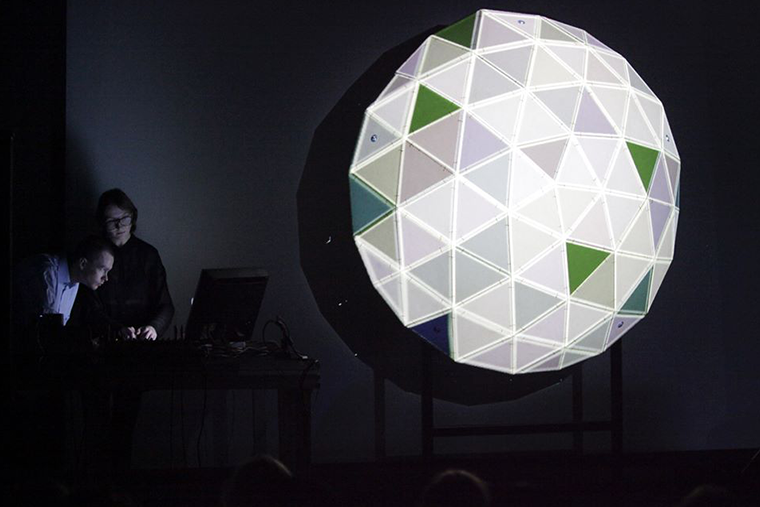 Metasphere is an audiovisual media installation and performance consisting of the digitally fabricated 3D screen and generative audio-reactive real-time visuals that were mapped on to the surface. + Sound. 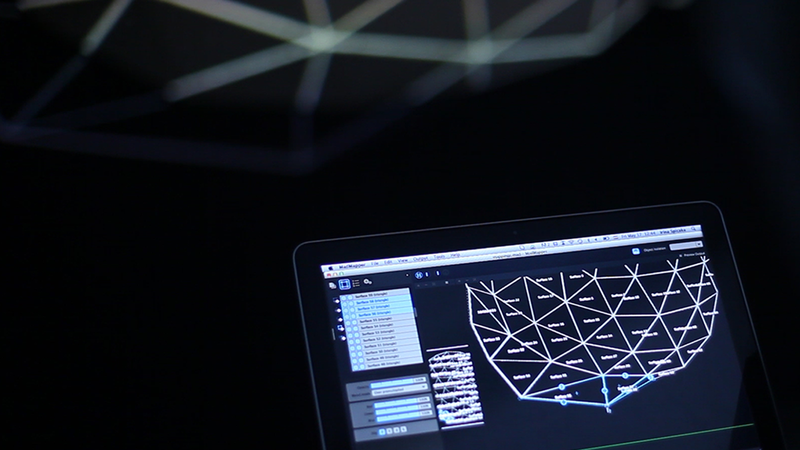 The same 3D data were used for creating the 3D screen and visuals. After creating the screen 3D model in Blender, the resulting data took two separate paths (3D screen and animation) that were connected again at the end of process. 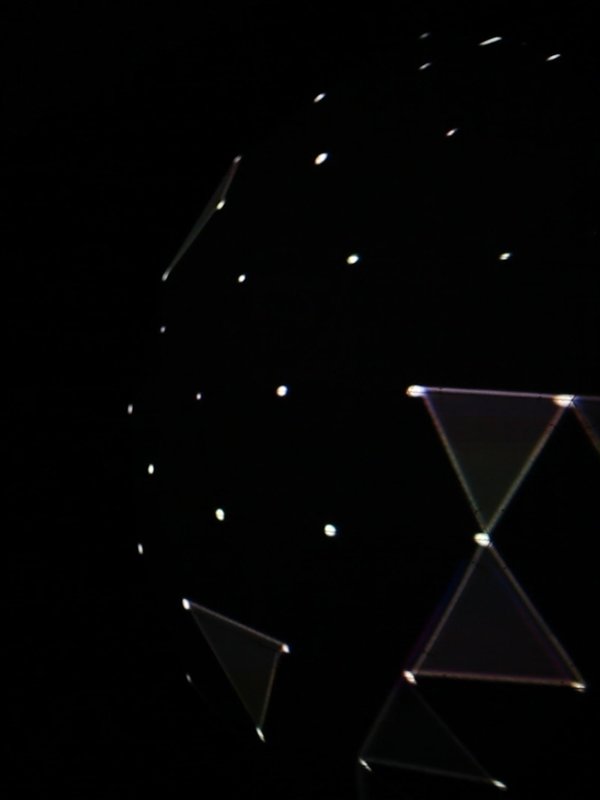 Initial animation sketches were made with Quartz Composer. 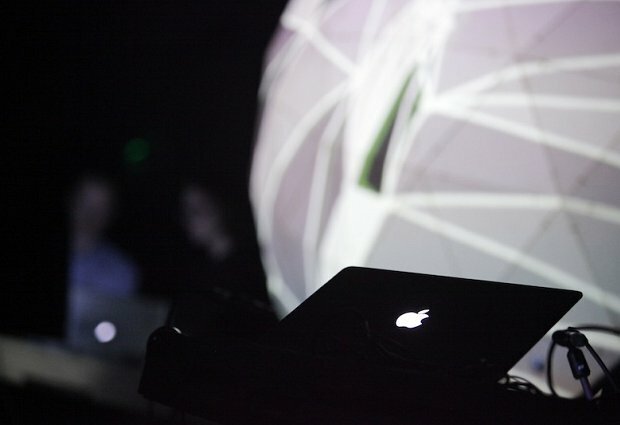 Later openFrameworks was used for creating the visual content, VDMX was used as GUI. MadMapper software was used to map it to the surface. Syphon and OSC were used for connecting all software parts. Cycling '74 Max and Ableton Live were used for the sound. 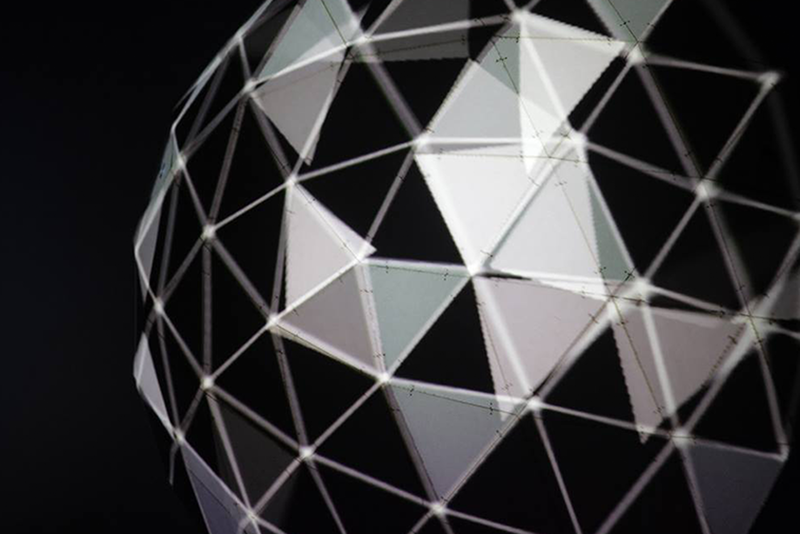 The sculpture (screen) was created in collaboration with Aalto Fab Lab and Aalto Media Factory. 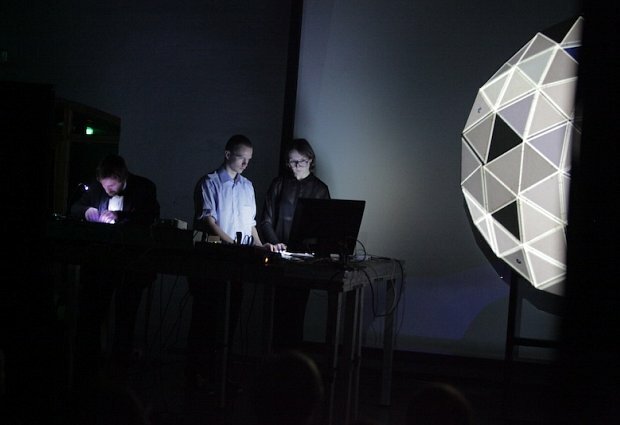 Art grants: The State Culture Capital Foundation of Latvia (SCCF), Pixelache, Aalto Media Factory and Aalto Fab Lab.